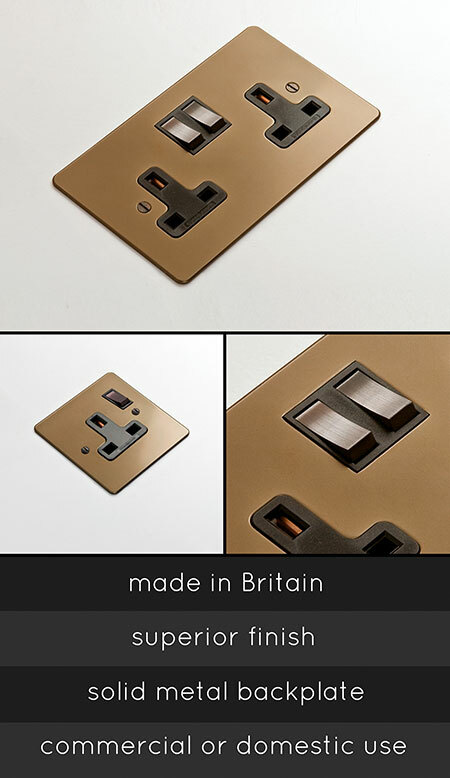 This contemporary Collection of designer electrical plug sockets have a high quality light bronze finish. This range is supplied with real metal back plates with a bronze finish and quality switching mechanisms. We supply single or double plug sockets. We can also supply a full range of electrical fittings, including matching satellite sockets, TV aerial sockets, phone, internet wall sockets and cooker switches etc. Quality UK manufacture and designed. All household electrical sockets are excluding Vat.